Home > Staff > Melissa B. Nelson, M.D. Dr. Melissa Nelson is originally from Basking Ridge, New Jersey. She received her Bachelor of Science from Virginia Tech and her Doctor of Medicine from the Medical College of Virginia at Virginia Commonwealth University. She completed her residency training at Cornell University Medical Center at the New York Presbyterian Hospital. She has additional fellowship training in Developmental and Behavioral Pediatrics from the Rose F. Kennedy Center at Albert Einstein University. After completing her training Dr. Nelson joined the faculty at New York Presbyterian Hospital and the Hospital for Special Surgery. 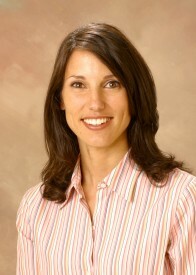 In 2004 Dr. Nelson moved to Richmond, where she joined Pediatric Associates of Richmond. She has served as the Chairman of the Department of Pediatrics of Bon Secours – St. Mary’s Hospital and currently serves on the Medical College of Virginia’s Alumni Board of Directors, the Virginia Tech Alumni Board of Directors, and the PACKids Board. She is an Assistant Clinical Professor in Pediatrics for Virginia Commonwealth University. Dr. Nelson has been recognized in Richmond Magazine’s annual Top Docs issue (2010, 2013 & 2016) , and received one of the YWCA’s 2015 Outstanding Women Awards for her dedication and efforts to establish Richmond’s independent and freestanding children’s hospital. She is board certified in Pediatrics and a fellow of the American Academy of Pediatrics. In addition to general pediatrics, Dr. Nelson’s medical interests are developmental and behavioral pediatrics. She and her husband, Kinloch Nelson, enjoy spending time with their three children.